Reinhart (ed. ): "A GERMAN HURRAH! : Civil War Letters of Friedrich Bertsch and Wilhelm Staengel, 9th Ohio Infantry"
Given their significant internal political, cultural, and religious differences, it serves truth little to generalize too much about the German population in the North. Like members of other ethnic groups, some individuals chose to remain insular and others integrated into mainstream local communities. While over 200,000 foreign born German-Americans enlisted in the Union armies, less than 40,000 served in what we would call 'German regiments'. Fellow Württemburgers and Union army officers Friedrich Bertsch and Wilhelm Stängel served in one of these units, the 9th Ohio, and their early war soldier-correspondent letters are compiled, translated, and edited by Joseph Reinhart for his latest book A German Hurrah!. Their letters (98 from Lieutenant Bertsch to the Cincinnati Volksfreund newspaper between June 1861 and September 1862 and 10 written by Captain Stängel for the Louisville Anzeiger) provided a German speaking home front with a stream of information about the progress of the war and the role local German soldiers played in it. 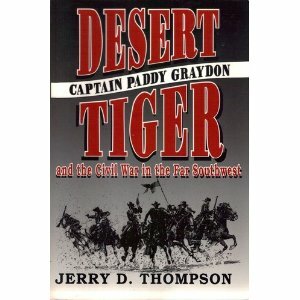 Quite vehemently ethnically chauvinistic in tone, there is much social historical value in the writings. The material also comprises a valuable set of personal perspectives of 1861-62 military events in West(ern) Virginia, Kentucky, Mississippi, Alabama, and Tennessee. Meant for public consumption, the correspondence is, generally speaking, more literate, more interested in addressing broad social and political issues, and more militarily detailed than the typical published letter compilation. Even so, for length considerations, Reinhart felt the need to edit out up to 35% of the content* to make his work more suitable for publication. With the 9th seeing action at Rich Mountain, Carnifex Ferry, Gauley Bridge, New Creek, and Sewell Mountain, among other places, students of the 1861 campaigns in western Virginia will be pleased to find so much lengthy military-themed material from this period. 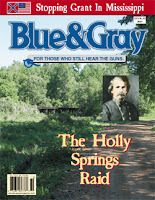 The letters dealing with the 1862 Mill Springs battle in Kentucky are similarly detailed. 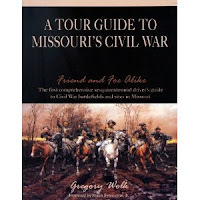 Bertsch's writing also takes the reader to Nashville, Corinth (his unit just missed Shiloh), and across northern Alabama to Tuscumbia, where his beloved commander, Robert L. McCook, was killed. 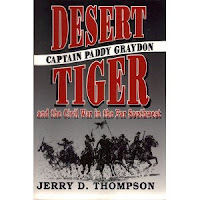 Apparently one of the few native American officers truly liked and respected by men like Bertsch, McCook's "murder" hit the German hard and was the subject of several lengthy letters. Although railing against nativist prejudice pervaded the writings of both men, Bertsch and Stängel believed, apparently with sincerity, in the innate superiority of German soldiers, even questioning the commitment of native Americans to the prosecution of the war. From the start, both were advocates of the application of hard war, promoting the burning of Confederate supporters's homes as early as June 1861. They also frequently complained about mainstream (i.e. Anglo-American) politics and culture, especially its religious aspects. The pair are perfect examples of the human condition, in that they both could, without consciousness of irony, decry outside prejudices while at the same time vigorously and publicly offer their own. Stängel's pen is the more bitter of the two, and his complaints about the Union leadership actually led to his dismissal from the service. Bertsch, on the other hand, served more honorably, and was mustered out in June 1864. If anything, the attitudes expressed by these two men seem to reinforce the findings of several recent studies contending the Civil War did not broadly expedite German assimilation. 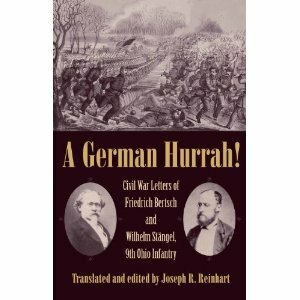 Once again, editor and translator Joseph Reinhart is owed a great deal of thanks for bringing the correspondence of German-American Civil War soldiers to print. In addition to annotations, a short piece of text is placed between each letter, summarizing content and transitioning between communications. 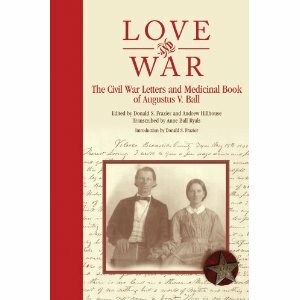 By Reinhart's estimate, only around ten Civil War letter collections written by German fighting men have been published in English. This fact and the fine editorial work found in A German Hurrah! together mark the book as a rare and noteworthy addition to a slowly expanding body of Civil War soldier literature. * - Much in the way of rumors and anecdotes did not make the cut, as well as many of the longer descriptions of weather, terrain, and landscapes. For those that wish to read the material in its entirety, Reinhart placed complete translations of the letters in the able hands of the Filson Historical Society in Louisville, Kentucky. Given all the attention Virginia battles of all sizes get from writers and publishers, it remains a bit of a surprise that none of the larger Seven Days clashes (Oak Grove, Mechanicsville, Gaines' Mill, Savage's Station, Glendale-White Oak Swamp and Malvern Hill) have received their own full book length treatments. There are some rumblings, however. 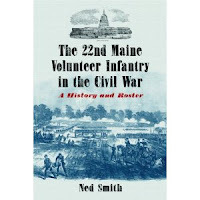 I understand there is a Malvern Hill project in the works, and next spring will see the publication of The Battle of Glendale: The Day the South Nearly Won the Civil War (McFarland, 2011). I don't know anything about author Jim Stempel or how ambitious his work will be. However much the subtitle delves into nebulous what-if ground, there's no denying a big opportunity was lost by the Confederates on June 29-30.